ROME, ITALY - APRIL 18: Timelapse of pedestrians cross a bridge in Rome on April 18, 2015 in Rome, Italy. hd00:15 May 12, 2018, Rome, Italy. Crowd of tourists at Trevi Fountain. Tourists in Rome at Trevi Fountain. Church of Saints Vincent and Anastasius in Piazza di Trevi in Rome. 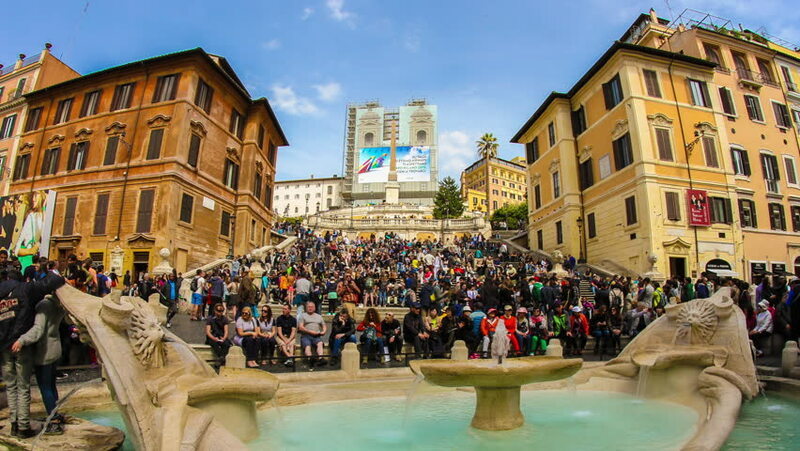 4k00:08Timelapse (time lapse, time-lapse) of Fountain de Trevi (Fontana di Trevi) with people crowd. Rome, Italy. April, 2016.
hd00:24ROME, ITALY MAY 25 2011: Spectators visit the famous Trevi Fountain in Rome. Vacation destination in Europe and the Euro Zone during economic downturn and problems. 4k00:17ROME, ITALY - NOVEMBER 25, 2016: Tourists People Crowd Visit Iconic Baroque Trevi Fountain Fontana Rome Italy.